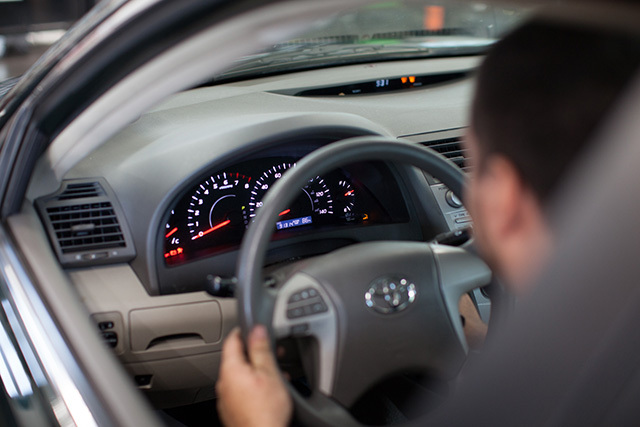 Your car’s A/C will benefit from an annual checkup and maintenance. The system depends on refrigerant, which needs to be at just the right level to perform optimally. Refrigerant is an invisible gas, so finding leaks can be tricky; Chapel Hill Tire can input an ultraviolet dye that makes leaks easier to detect. You should also have the condenser inspected for blocks or leaks. Although it’s good to perform A/C services on an ongoing basis, it’s particularly important to do so just before the hot weather sets in. When you schedule an A/C service with Chapel Hill Tire, be sure to ask about our maintenance guarantee, too. We beat most dealerships’ offers with our 3-year/36,000-mile warranty. Note: If the vehicle has a slow system leak it may take a while for the dye to be detectable. Customer may need to return in a week for a free inspection of the air conditioning system. Why Choose Chapel Hill Tire for A/C Services? If you need your A/C serviced, come on in to Chapel Hill Tire. We perform a range of services, including inspecting A/C systems, installing different types of refrigerant, and performing a diagnostic of malfunctioning A/C units. Our expert technicians will service your car and get you in, out and on with your life.